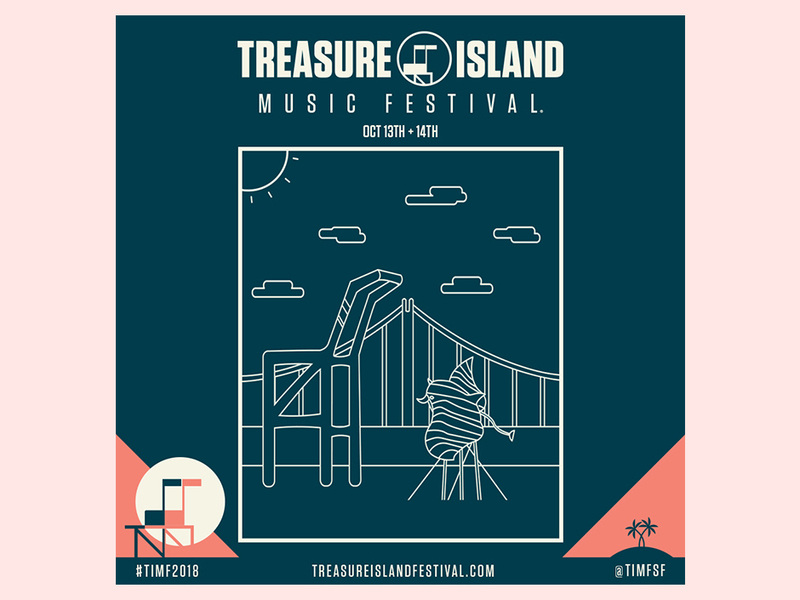 The Treasure Island Music Festival, one of the Bay Area’s most beloved festivals is returning next weekend after a one-year hiatus. Due to construction and other factors, the festival’s location (and namesake) was no longer available to stage the two day event so organizers were forced to cancel while they searched for a new location. While this was frustrating for fans, it was an admirable move on behalf of the production team. By taking their time and researching multiple locations and feasibility, they have ensured a smooth event for all involved. It’s refreshing to see patience and forethought supersede greed and fear. Many other promoters would have been afraid to take a gap year and rushed into the first location that became available. Hopefully Noise Pop’s due diligence will pay off not only for them but for attendees as well. While the location has changed the year off has had virtually no impact on the festival itself. It still has the diverse lineup the festival has come to be known for with a mix of artists ranging from Tame Impala and A$OP Rocky to Courtney Barnett and Pusha T. With no conflicting set times, you can see just about every artist on the roster in between grabbing a bite at the local vendor tents. Speaking of food, even if you don’t like music you can still buy a ticket and have a great time. The attending bay area eateries is a mouth-watering list of the best the bay has to offer all in one convenient place. That is literally something for everyone. But say for some reason you hate food AND music (you’re living in the wrong city but we digress) well there is STILL something for you to do. Organizers have scoured the local art scene and found everything from kinetic art installations to giant mechanical squids. Think of it as a taste of Burning Man without the dust. The people-watching is just as good too! And if you wonder why these festivals are multi-day affairs, well there’s the shopping. You could spend an afternoon crate digging at Amoeba’s pop-up shop or make your own t-shirt at Workshop’s Camp DIY . Just like the bay area itself, Treasure Island is a diverse, eclectic mix of everything under the sun co-existing together against the scenic backdrop of bridges, sunsets and water. Oh and Karl the Fog will probably make at least one appearance over the weekend. In addition to the two day festival, TIMF will also play host to a variety of late-night shows to celebrate the return of the festival to the Bay Area. Shows include Kevin Morby at Cal Academy of Sciences (Oct. 11), The Dodos at The Independent (Oct. 12), and Mothers at Cafe Du Nord (Oct. 13). Tickets are on sale now and can be found here. There is no designated festival parking on or near the festival grounds at MHSP. The only way to get to and from the festival is via the official complimentary festival shuttle service at West Oakland BART or ride-share to the festival’s designated festival drop-off/pick-up area nearby. Treasure Island Music Festival is a BARTable event. A fleet of shuttles will run on a continuous loop throughout festival hours beginning at 11:00 a.m. PT offering free rides to festival attendees. The shuttle drop-off/pick-up point is located at West Oakland BART (1451 7th St, Oakland, CA 94607). The free shuttle pick-up is included with all GA and VIP ticket purchases. It’s important to note that in order to board the shuttle, patrons are not required to have tickets in-hand. For those without tickets but are hoping to purchase on-site on the day of the festival, tickets can be purchased at the official festival Box Office at MHSP. For more details regarding parking and shuttles, please visit www.treasureislandfestival.com/info.